Starting to get some real throughness. 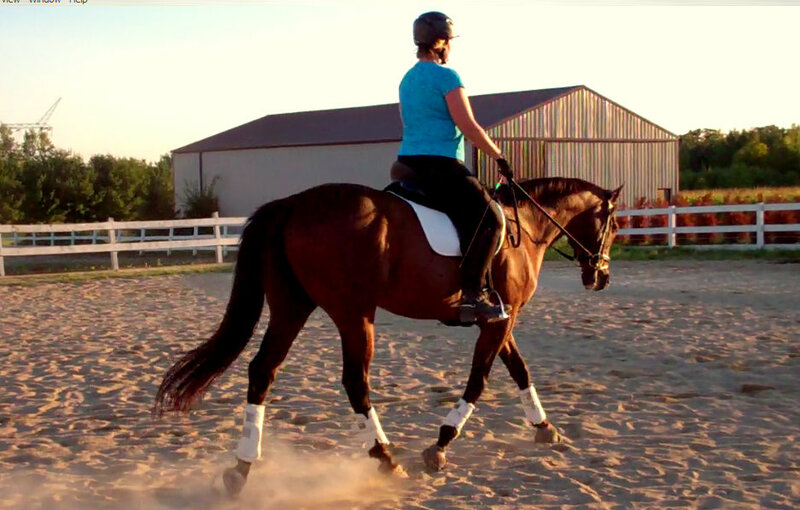 Back when I was riding Maddie, I actually got to the point where I was starting to really ride correctly, developing real connection and that powerful closed loop of energy you get when your horse is really pushing with its back legs, is on the bit and working over its back and you’re holding correct contact. I remember how it felt the first time on Maddie – when that big, 16.3 hand mare suddenly felt like she grew a finely tuned sports suspension. All the parts of the horse are working in unison. There are no trailing hindquarters or popping shoulders. The horse is through. Its back is up, it’s on your aids and connected and paying attention. It’s a wonderful feeling of power married with pinpoint control. I’m starting get that feeling of throughness with Derby, too. Our work has really improved recently – due in large part to our newfound forwardness. I’ve been able to generate and keep the “Maserati” feeling at the trot during my last few rides. It’s so much more than roundness. It’s amazing. I’ve also been focusing on maintaining my forward gears. We now have a nice medium walk that is our default. No more shuffling. 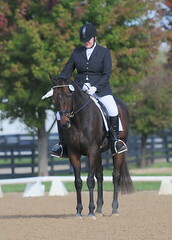 The trot is also completely respectable. I still need to do more work in the canter, however. And I had to remind him tonight, which elicited the buck you see above. Happily, I stayed on, and even more happily, wasn’t even phased. 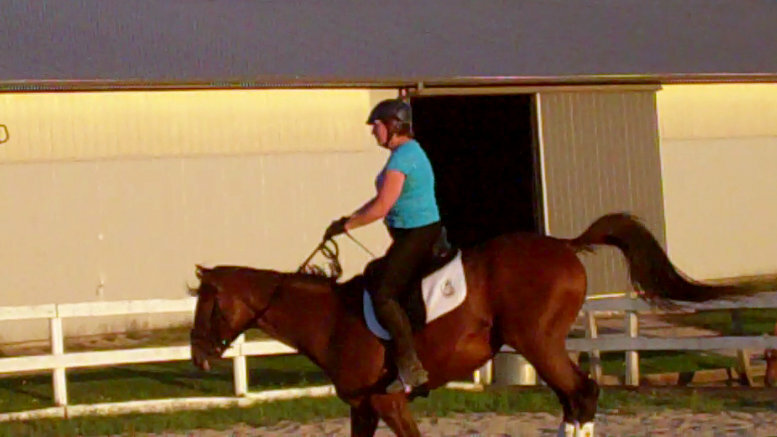 After the bucking incident, we had a better ride and more forward canter. At one point I even got him to lengthen a bit, and could feel the difference. 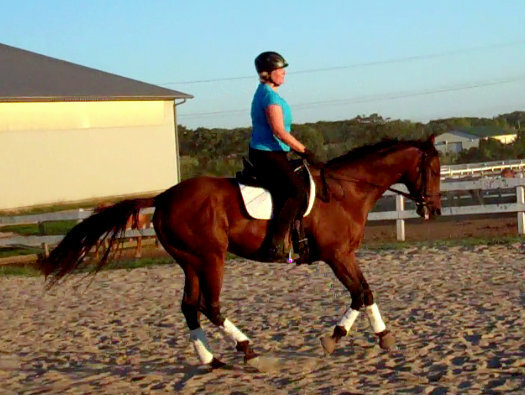 I have a lot to do in the canter – developing roundness and adjustability for starters – but I feel like we’re making progress. I’m actually influencing the gait. I’ve added a couple more lessons to this week’s usual remit. We have some momentum and I really want to keep the pedal to the metal right now.